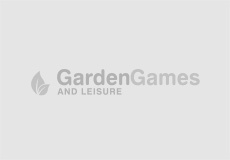 1.1 All design and content including text, graphics, layout and site design remain the property of Garden Games & Leisure Ltd. and its developers and can’t be replicated either in part or in full. 1.2 No liability is accepted for third party websites linked to or from, or accessible through www.gardengamesandleisure.com nor do we approve or endorse the contents of any such sites. 1.3 All information and content (including product data) is to the best of our knowledge correct and accurate at the time of publication. 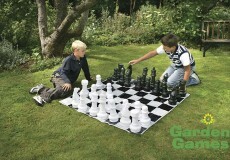 1.4 Garden Games & Leisure Ltd. accepts no responsibility for the incorrect product data supplied by its manufacturers and suppliers. 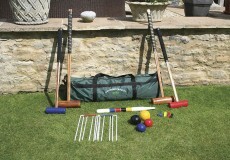 1.5 RRP and list prices refer only to products found on www.gardengamesandleisure.com. All RRP and list prices are provided by the manufacturers and suppliers and not by Garden Games & Leisure Ltd.
2.1 Deliveries are despatched the next working day subject to stock availability (Mon-Fri) on all orders. 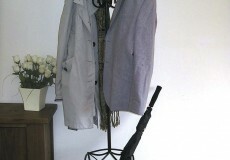 Delivery time can be up to 10 working days dependant on the item purchased. 2.2 Some items will be delivered either flat packed or in several composite boxes, in these cases assembly is required by the customer. 2.3 Any damaged or incorrect item must be reported within 24 hours in order to receive full credit or replacement product. We require goods to be signed as unchecked if the customer is unable to inspect before signing. 2.4 Unwanted or incorrectly ordered items will be credited in full and collected only if reported within 10 working days, any returns request received after 10 working days will only be subject to a partial credit. 2.5 All returns requests must be made via email stating product code, reason for return, packing slip number and any special instructions. 2.6 All packaging and boxes must be intact and in a resalable condition to receive full credit. 2.7 All deliveries are made by third party carriers selected using strict criteria and tender legislation, drivers and agency drivers represent the carrier company whilst delivering and not Garden Games & Leisure Ltd.
2.8 Delivery prices are listed next to each product. All prices are inclusive of VAT. 2.9 All deliveries require a signature, please ensure that someone is at the given delivery address between 8.30am and 5.30pm. If someone is not going to be available to sign for the goods then an alternative delivery address should be given where a signature can be obtained by the courier. Orders placed that fail delivery will be subject to a partial credit to cover carriage costs. 2.10 We reserve the right to withhold delivery without a working customer contact telephone number. Garden Games & Leisure Ltd. claims no responsibility for any damage or injury during the usage or due to the misuse of any its products.